As network users become more dispersed and mobile, information technology departments face new data management challenges. Many employees have company data on laptops that leave the office with them. These employees have a need to protect data on the laptops and retrieve files from the office easily. Employees work from home or other remote locations and face similar data availability challenges. SureSync Endpoint is a flexible, powerful tool for solving these kinds of challenges. With Endpoint, a client application is installed on each laptop or remote workstation. These client machines are responsible for downloading relevant tasks ("Jobs”) from the Endpoint server, establishing the connections and performing the necessary synchronization work. This architecture means that firewalls in the remote locations are no longer a concern, but the control of data flow remains on the server side. If you have the SureSync Desktop installed in your environment, you already have the server piece of Endpoint installed! All you need to get started is a license from our sales team. In the SureSync Desktop, click on the "SureSync Endpoint” tab will load the Endpoint interface. A single Job and Real-Time Monitor combination in SureSync can process many laptops or workstations. If you wanted to copy current sales price sheets and presentation materials from a server to 50 mobile salesperson laptops, this could be accomplished with a single Job/Monitor. Any configuration changes you make such as modifying file masks automatically apply to all Endpoint machines in the Monitor. This makes managing the environment extremely simple. Configure a one-way Rule to publish data from the server to the Endpoints. 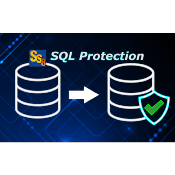 Configure a one-way Rule with the Endpoints as the source to backup data to the server. Endpoint provides convenient path variables to separate data on the destination. 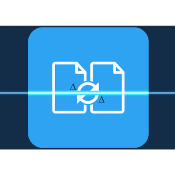 Configure a multi-way Rule to allow a user to synchronize files back and forth between their server path and their laptop. In this instance, a single Endpoint should have a Job/Monitor combination. For the administrator, status panels can be used to monitor the current state of Endpoint tasks. The log viewer provides a list of all actions performed by Endpoint, just like with SureSync. Combined with the ability to apply configuration changes to machines in bulk, Endpoint is an ease for the administrator. 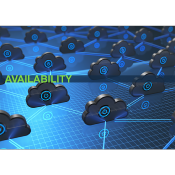 Endpoint revolutionizes the process of file synchronization & replication with on-site servers to and from remote laptops and desktop computers. Contact our team today to learn more about how to start utilizing Endpoint in your network environment today!